A hit of menthol. A moment of calm. That’s the take home from this set of outdoor and print advertisements for Airwaves Menthol and Eucalyptus gum from South Africa. 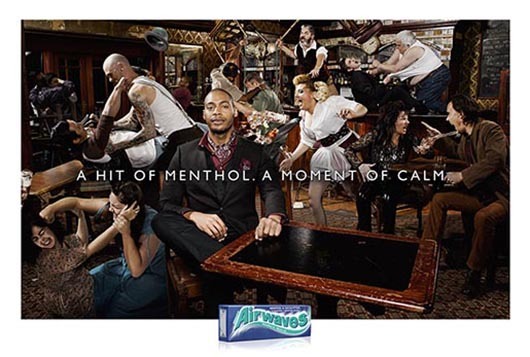 In the chaotic world we live in, the intense, refreshing menthol hit of Airwaves gum is almost like a little moment of calm. It clears your head, and lets you keep on being your cool, calm, collected self, no matter what’s going on around you, on the bus, in the bar, or on the beach after a nasty shipwreck. Four radio ads complete the campaign: “Front Line”, “North Pole”, “Jungle” and “Desert”. 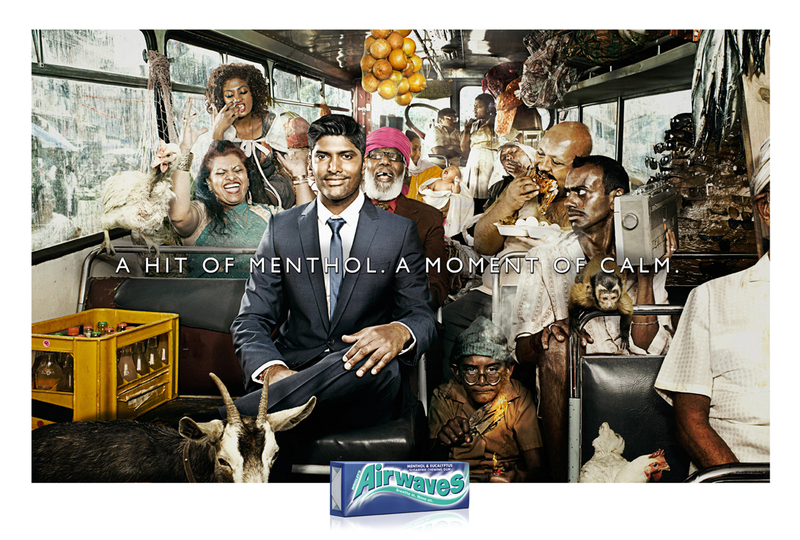 The Airwaves Moment of Calm campaign was developed at DDB South Africa, Johannesburg, by executive creative director Liam Wielopolski, art director Paul Anderson, copywriter Jeff Tyser, agency producer Mun-Ying de Lacey, photographer Sacha Waldman, and sound/music producer Lorens Persson at Sterling Sound.